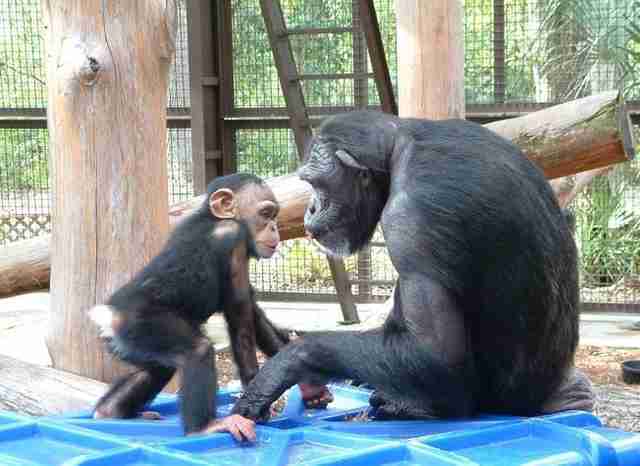 Bubbles is relaxing at a sanctuary, and even adopted a "son." This could be because he grew up in perhaps the brightest spotlight of all - as Michael Jackson's pet chimp. For years, Bubbles was in the public eye, and was forced to learn to moonwalk, a dance move made famous by Jackson. 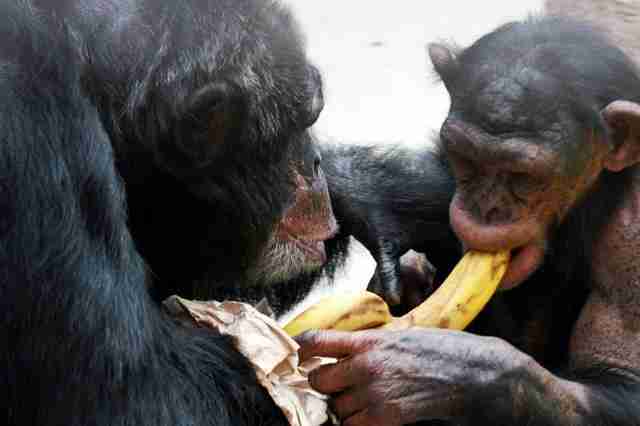 Famed primatologist Jane Goodall suspected that Bubbles was abused under Jackson's care. Before that, his life wasn't any easier. Bubbles was actually born in a Texas biomedical laboratory. "While still an infant, he was taken from his mother and sold to a Hollywood trainer, who had purchased him to be a pet chimpanzee for the world-famous pop singer Michael Jackson," the Center for Great Apes said. "He appeared in television shows, movies and music videos. When he was only 4 years old, he went to Japan on a promotional tour with Jackson." 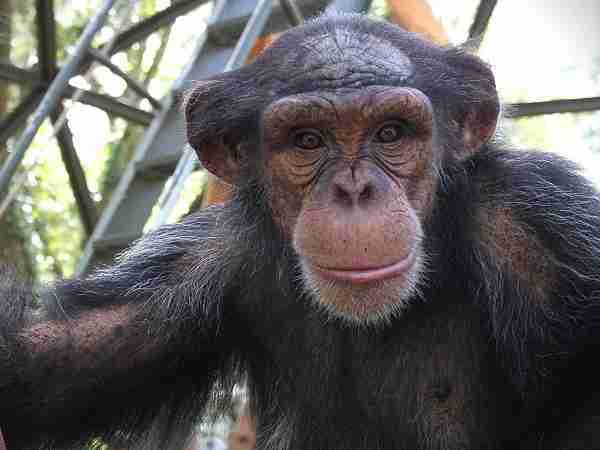 Now, at age 33, he's finally living life with other chimps. 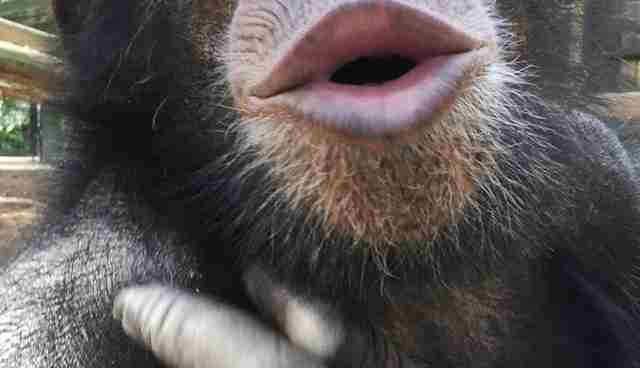 At the Center for Great Apes sanctuary in Florida, where he's lived since 2005, Bubbles has befriended a group of other chimps rescued from the entertainment industry. 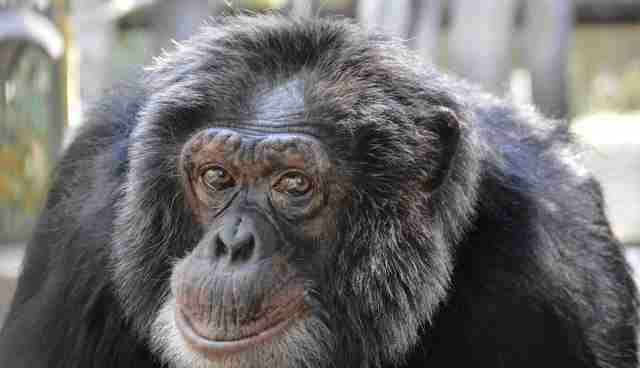 He even "adopted" a son, an 11-year-old chimp named Stryker. And while Bubbles remains shy of the camera, Stryker doesn't seem to mind an occasional glamor shot. Tuesday is Great Apes Giving Day. Click here to learn how you can help.